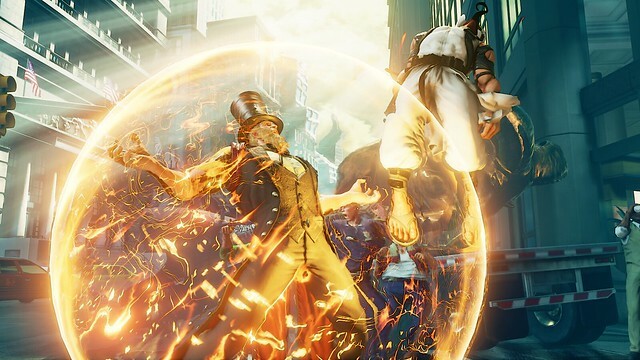 First revealed back at Capcom Cup 2017, G and Sagat have officially joined Street Fighter V: Arcade Edition as the final two characters from Season 3! In a pleasant surprise to our fans, who may have only suspected G to be released in August, also available at the same time is the much-anticipated Sagat to finish off this spectacular season that began with the launch of Street Fighter V: Arcade Edition back in January. Both of these imposing characters have their own unique story and move set, which makes them welcome additions to the roster. In a fiery move set that hints at his true nature, G is able to draw power from the Earth to improve his “Presidentiality.” With every level his Presidentiality increases, his special moves become stronger and new combos are unlocked. Being able to charge up in the midst of a fight is vital in G’s game plan as his Presidentiality will decrease when he’s knocked down. With magma, Earth energy, and a penchant for giving speeches, G is a character who should not be taken lightly. Bow down before Sagat, the Solitary King, for his arrival beckons your attention! 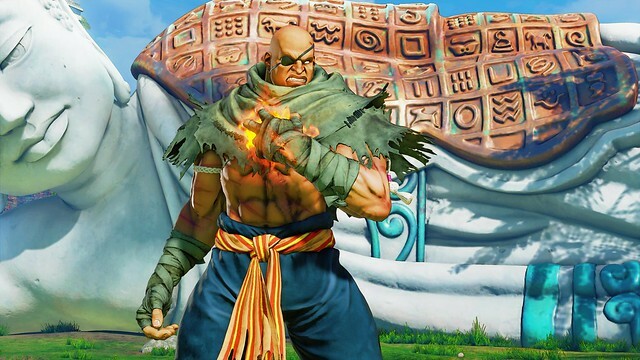 Sagat first appeared as the final boss in the original Street Fighter and has become a fan-favorite ever since. His main goal? To become the strongest fighter in the world. After his fight and subsequent defeat by Ryu, he vows to one day win in a fair fight against the man who gave him his trademark scar. 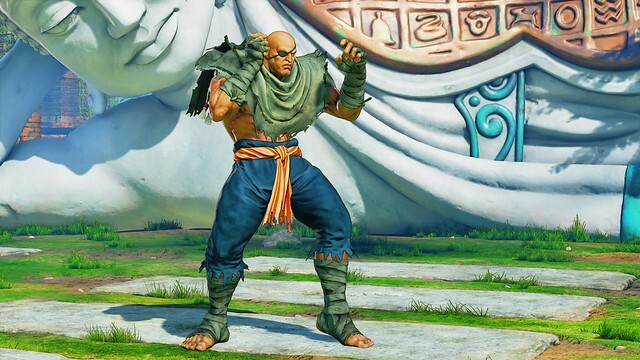 In Street Fighter V: Arcade Edition, Sagat has been in hiding in the mountains to overcome his inner demons of self-worth. Sagat’s move set remains true to his previous appearances with his signature Tiger Shot, Tiger Uppercut, and Tiger Knee Crush. Known as a master of keeping opponents away, Sagat utilizes his two versions of Tiger Shot to control the ground and Tiger Uppercut to control the air. He makes up for his slower speed by having long-reaching moves, just like the Sagat you know and admire. G and Sagat are available individually for $5.99 or 100,000 Fight Money OR as part of the Season 3 Character Pass for $29.99, which also unlocks Sakura, Blanka, Falke, and Cody. 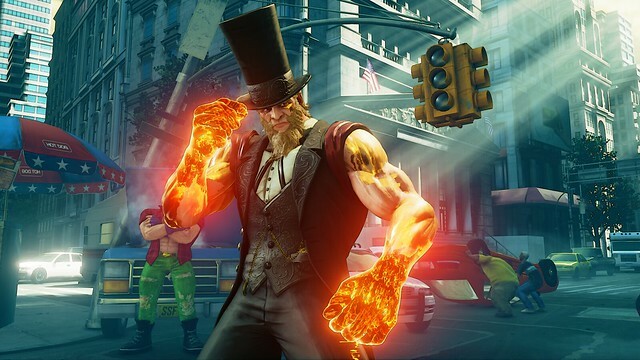 If you purchase G or Sagat as part of the Season 3 Character Pass or with real money, you will also get their Battle Costumes with colors 3-10 and default costume colors 3-10. Play the president and the king tomorrow in Street Fighter V: Arcade Edition on PlayStation 4! 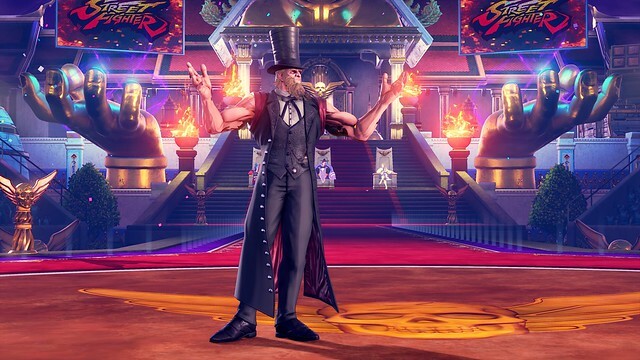 I’m just wondering about G. His Story Costume reminds me of Q from Street Fighter III Third Strike. I just wonder if that was intentional and if there really is a connection. Sweet! 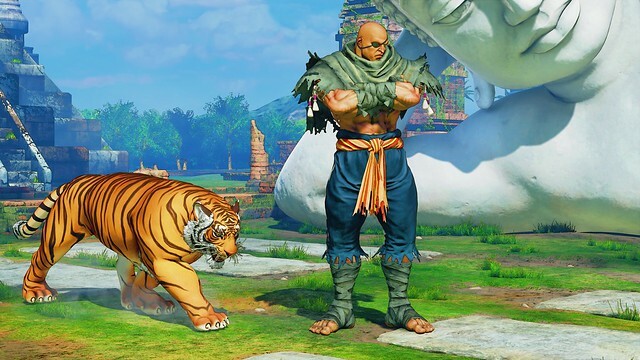 Sagat looks awesome! Street Fighter season ending with a bang! Good to see Greg “Gorilla” Jones go from Circus Ringleader in Bloody Roar to President G in SFV. Well, I guess they couldn’t name him “A”.